This Bible Kids coloring book helps children learn Bible stories from the Old and New Testaments using simple sentences. Children will see that kids matter to God and are an important part of the Bible. Scripture references are given so adults may read the complete story from the Bible to children. The illustrations are designed for children (ages 2-4) to enjoy. Bible Kids Colouring Activity Book was published by Warner Press in January 2016 and is our 11619th best seller. The ISBN for Bible Kids Colouring Activity Book is 9781593178451. 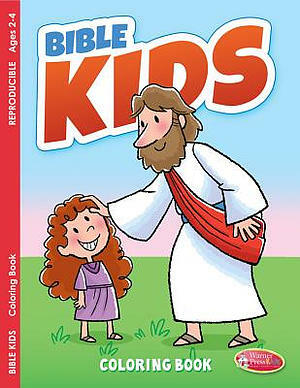 Be the first to review Bible Kids Colouring Activity Book! Got a question? No problem! Just click here to ask us about Bible Kids Colouring Activity Book.